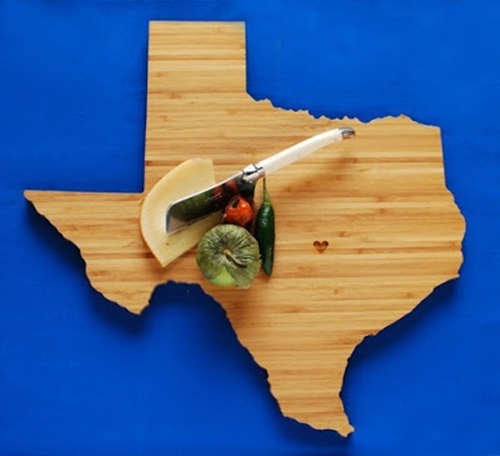 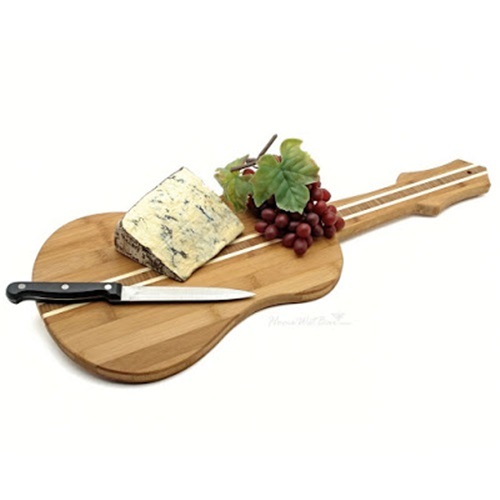 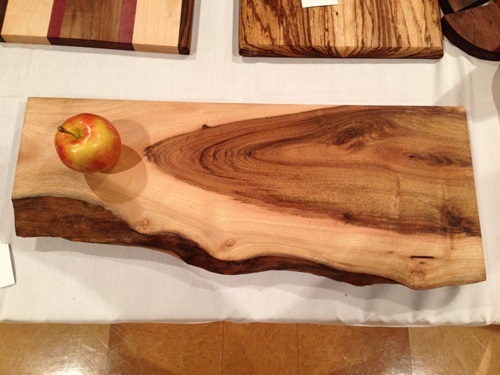 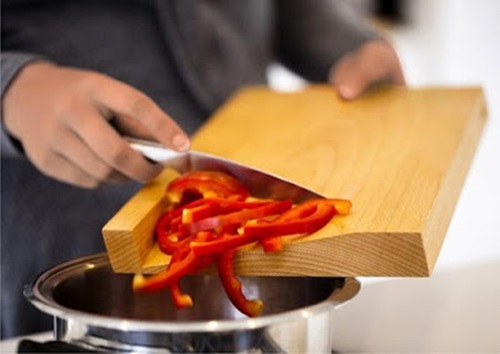 If you don’t have a cutting board in your kitchen, you will miss a great functional and decorative part of the place. 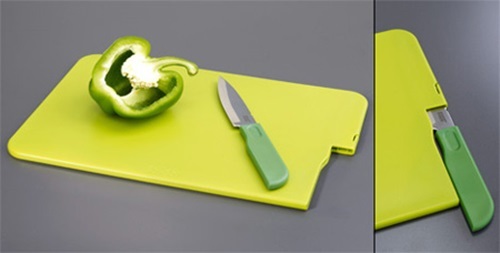 You can find cutting boardswith different designs to choose that will match your personality and kitchen design. 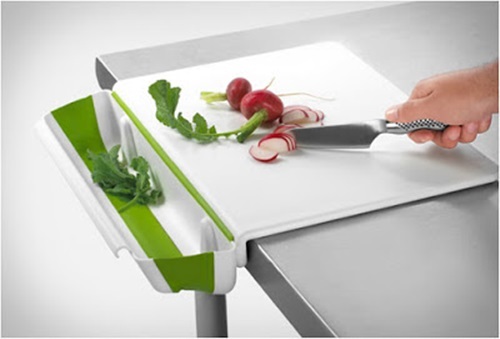 One of the most creative and functional cutting board deigns is the clever bamboo cutting board that look like a thick board, but it includes three hidden organizers and one slide out strainer to save the freshly diced vegetables or meat till you begin cooking your recipe.You can pull the tree drawers from the cutting board to wash your food freely, dump it into the pot, and install them again. 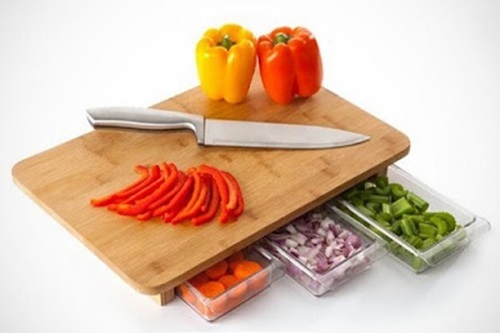 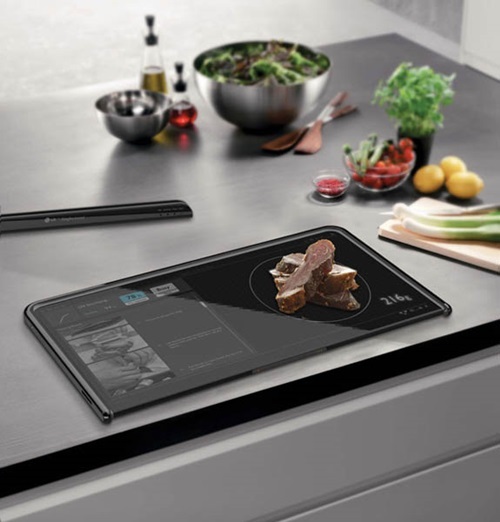 You can get a similar function using a bowled cutting board has a built-in bowl at the cutting board’s end to transfer your chopped food directly without causing mess in the place. 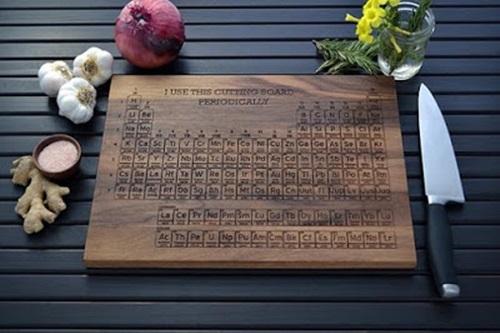 If you appreciate the handmade retro pieces, you can purchase a geeky cutting board that is made of maple and walnut wood. 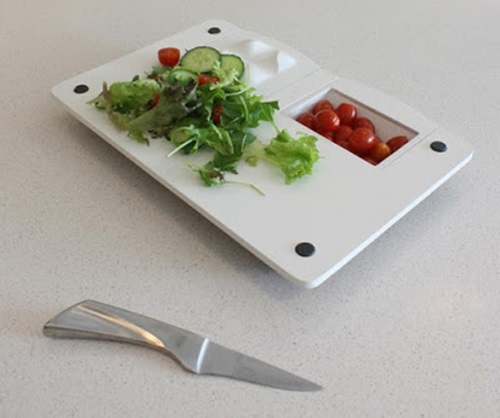 This piece will surely add a richness and value to your modern kitchen. 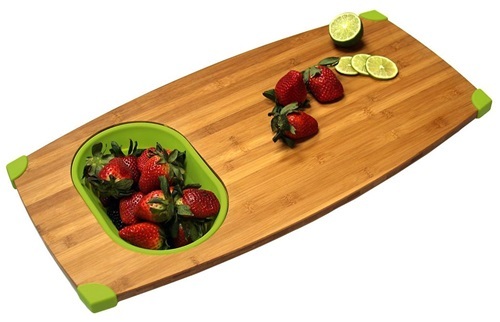 Contrarily, you can add a whimsical look to your kitchen using a kindergarten cutting board. 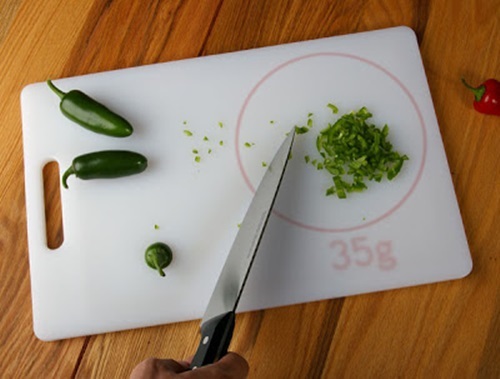 Such a board is made of hard acrylic; so, it is easy to clean and has funny drawings to let you laugh whenever you need to cook. 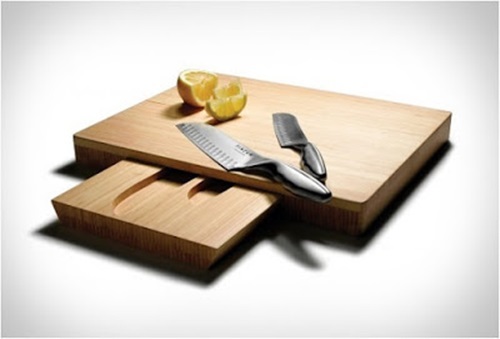 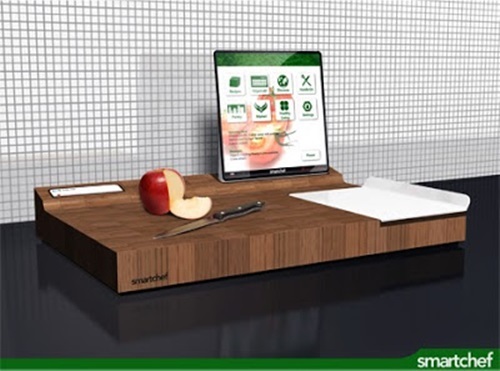 You can control the size of your cutting board if you have a puzzling serving board. 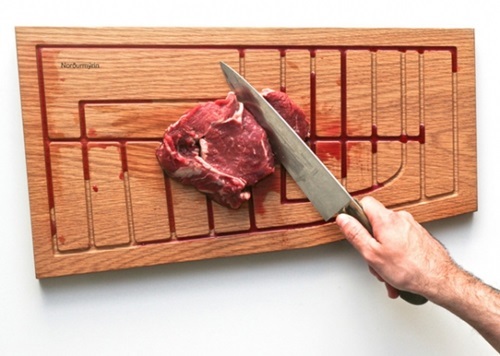 Such a board will enable your family members to help you as everyone can get his own part of the puzzle. 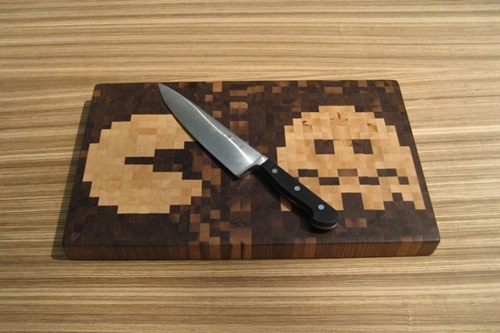 Actually, this will be a fun project as every one of you can complete the puzzle when he finishes his work. 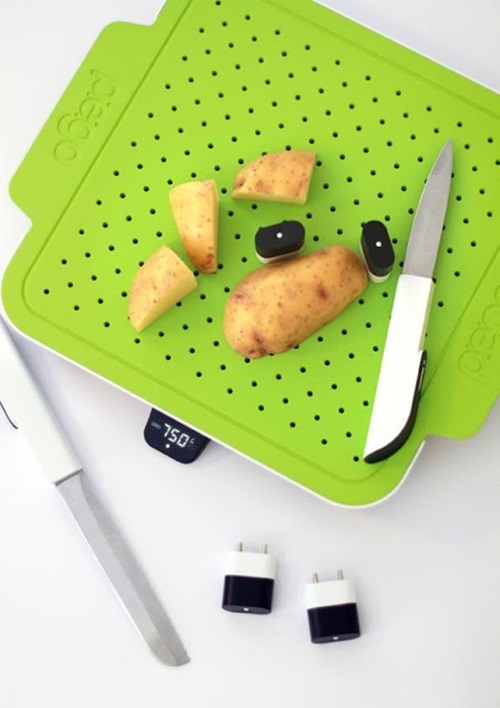 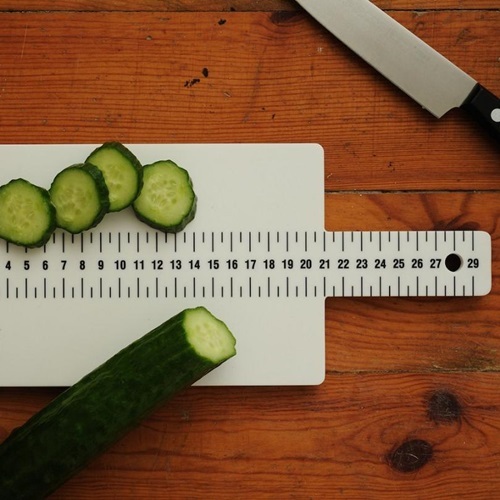 If your recipes need certain lengths of chopped vegetables, the obsessive compulsive cutting board is covered with measuring lines to help you measure the exact size of your vegetables.